Texas Instruments (TI) on May 25, introduced two new device families that help reduce size and weight in motor drive applications. 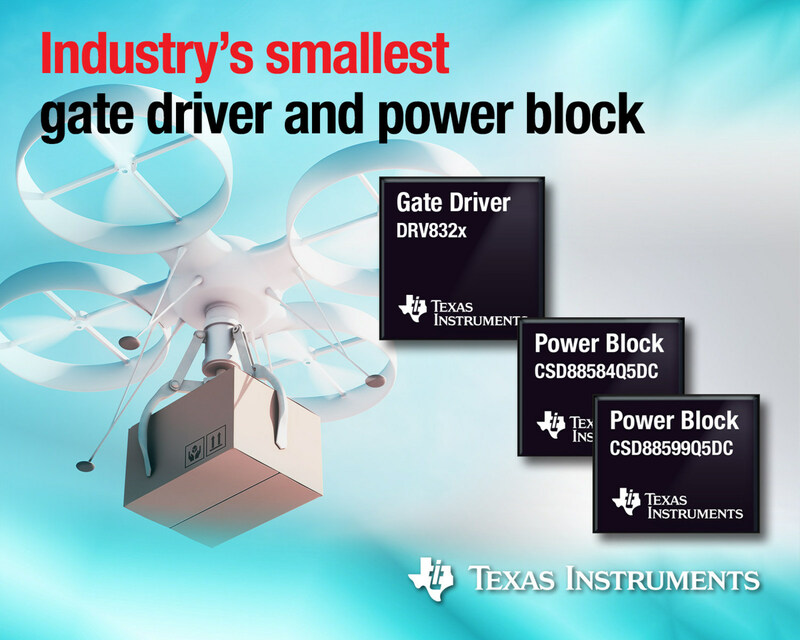 When used together, DRV832x brushless DC (BLDC) gate drivers and CSD88584/99 NexFET Power Blocks require as little as 511 mm2, half the board space of competing solutions. The DRV832x BLDC gate drivers feature a smart gate-drive architecture that eliminates up to 24 components traditionally used to set the gate drive current while enabling designers to easily adjust field-effect transistor (FET) switching to optimize power loss and electromagnetic compliance. The CSD88584Q5DC and CSD88599Q5DC power blocks leverage two FETs in a unique stacked-die configuration, which doubles power density and minimizes the FET resistance and parasitic inductances typically found in side-by-side FET configurations. An 18-volt compact BLDC motor reference design demonstrates how the DRV8323 gate driver and CSD88584Q5DC power block can drive 11 W/cm3 power and enable engineers to jump-start their designs for smaller, lighter-weight power tools, integrated motor modules, drones and more.. Maximum power density:The combined solution delivers 700 W of motor power without a heat sink, providing 50 percent higher current than conventional solutions without increasing the footprint. 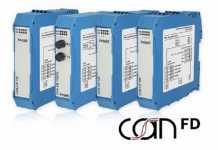 High peak current: As demonstrated by the 18-volt BLDC reference design, the smart gate driver and power block are capable of driving a peak current of up to 160 A for more than 1 second. 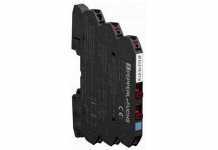 Optimal system protection:The combination enables shorter trace lengths and actively prevents unintended FET turn-on, while also providing undervoltage, overcurrent and thermal protection. Superior thermal performance: The CSD88584Q5DC and CSD88599Q5DC power blocks come in TI’s DualCool thermally enhanced package, which enables designers to apply a heat sink to the top of the device to decrease thermal impedance and increase the amount of power dissipated to maintain safe operating temperatures for the board and end application. Clean switching: The power blocks’ switch-node clip helps eliminate parasitic inductance between high- and low-side FETs. Additionally, the DRV832x gate driver’s passive component integration minimizes board traces.